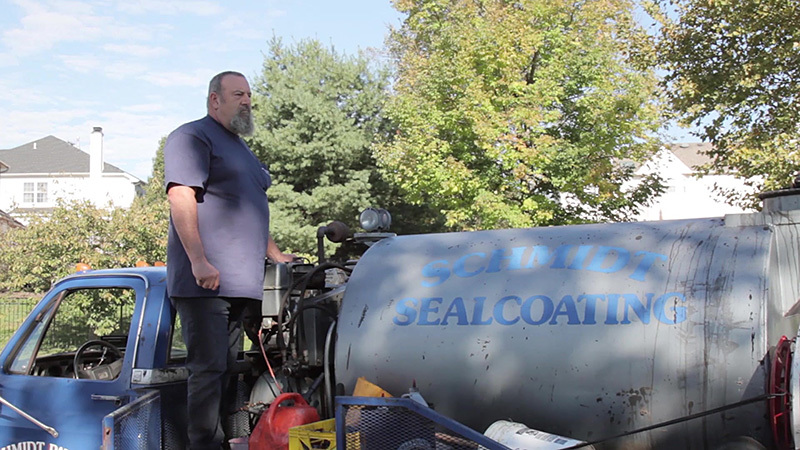 Schmidt Paving Serving Bucks and Montgomery Counties with sealcoating services for over 50 years! Looking for a seal coating company in Bucks County or Montgomery County should start with experience and equipment. Schmidt Paving has helped homeowners and business for over 50 years with sealcoating services that beautify your most important investment. Did you know, sealcoating for your asphalt pavement can extend the life of the pavement. 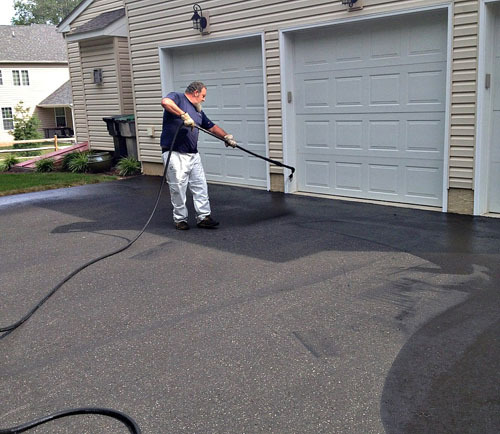 Sealcoating helps protect the asphalt from ultraviolet light, water penetration and chemical damage. If the asphalt is left untreated and never sealcoated, the oxidation of the pavement will begin, which causes the asphalt to dry and become brittle. This leads to the erosion of the top layer – the appearance of larger stones and small cracks on the surface. Your asphalt pavement should be sealed every 2-3 years for proper maintenance. As mentioned above, sealcoating not only beautifies your asphalt pavement but makes cleanup easier with snow removal, sweeping and general cleaning. Sealcoating costs are substantially less than the repair or replacement of damaged asphalt. For a commercial property, a nice sealcoat finished with crisp marking paint adds to the attractive appearance of your property. Professional Sealcoating Tip: For best results, we recommend a daytime temperature of 50 degrees and rising, with no freezing temperatures at night. Please note that we highly recommend staying off your asphalt pavement for a minimum of 24-48 hours.